The strike against racism by Mizzou football players was brave, historic, and profoundly significant—but it wasn’t unprecedented. This is one of many stories from the 1960s of campus activists trying to connect with student athletes. These groups were traditionally rivals, but the black freedom struggle and the fight against the Vietnam War had created a common generational cause. These struggles also inspired many players to take actions of their own. 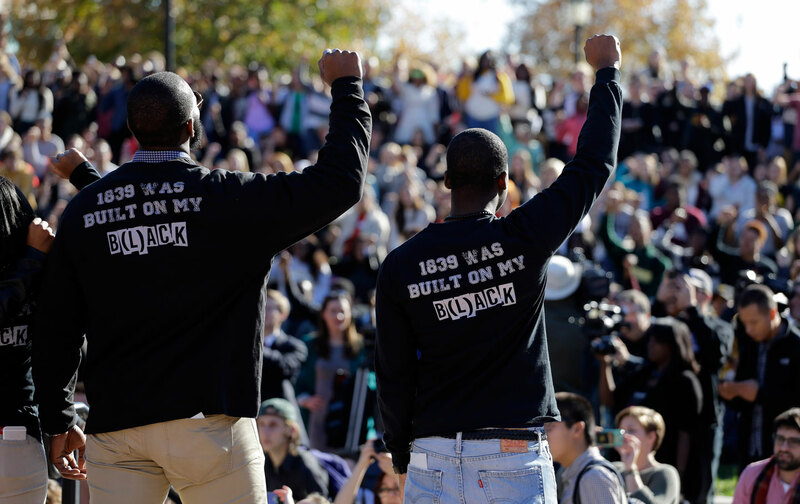 This largely forgotten history has taken on a new urgency following the Missouri Tigers football strike against racism, which ended after University of Missouri President Tim Wolfe resigned. Some commentators have called these actions unprecedented, but they’re not. In addition to recent examples of restive college football players, which includes the recent union battle at Northwestern and the 2013 players strike at Grambling, there is also an extensive history of student-athlete activism from the late 1960s. It’s a history worth knowing, one that could tell us something about our own future. In 1967, 35 black players on the University of California, Berkeley, football team boycotted spring practice until more black coaches were hired. John Erby was soon named as the first black assistant coach at UCB. In 1968, players at Michigan State delivered a list of demands to athletic director Biggie Munn Biggie Munn. They refused to play unless a search was conducted for a black coaches, trainers, and cheerleaders. Munn refused to even take their demands to the school president. Twenty four players walked out of spring practice and two more were purposefully disrupted and cancelled. They won. At the University of Washington, athletes won a study of racism in the athletic department after accusing the football trainer of making racial slurs and providing inadequate treatment for injuries. In 1972, the Huskies refused to take the field for the second half of a game on homecoming weekend, unless a statement was read by the stadium sound system against the war in Vietnam. At Syracuse, nine black players, the “Syracuse Nine,” walked out of spring practice because their coach, Ben Schwartzwalder, reneged on a promise to hire a black coach. The school president ordered Schwartzwalder to hire one black coach and he did, but the coach also kicked all the players off the team. By the 1970 season, Syracuse had a black coach, and no black players. But soon the line between “the clean” and “the filthy” was not so clear. The cascade of protest continued. Brigham Young—the school Mizzou will play against this weekend—became a particular lightning rod for controversy. BYU was affiliated with the Mormon Church, which denied leadership positions to people of African descent, claiming that their dark skin was “the mark of the curse of Ham.” Fourteen African-American players were dismissed from the Wyoming football team on October 14, 1969, for wearing black armbands the evening before the team was scheduled to play BYU. They called themselves the Black 14. Less than two weeks later, BYU played against San Jose State. The entire San Jose State football squad wore black armbands to support the 14. After similar rumblings rose at Stanford University, President Kenneth Pitzer announced in November of 1969 that he would honor what he called an athlete’s “right of conscience.” It would allow athletes to boycott schools or event that he or she deemed “personally repugnant.” It made a serious impact. Oklahoma State and US Olympic basketball coach Hank “Mo” Iba told Sports Illustrated in the summer of 1969: “We are facing the greatest crisis in sports history. In the next eight months we could see sports virtually destroyed. Nobody seems to realize how critical the situation is.” Chop this quote from Hank Iba down to 140 characters and it would sound like just one of many hysterical tweets from the past week, after the Missouri Tigers went on strike and helped topple a school president. Mark Twain is often quoted as having said that “history doesn’t repeat itself, but it does rhyme.” In college sports, 2015 resembles 1969 about as much as an SUV resembles a ten-speed bike. NCAA football is now a multibillion-dollar business. The campus lives of players are unrecognizable by comparison. In the effort to compete for the best high-school talent, schools today invest heavily in separate dorms, separate cafeterias, separate study halls, and, superficially, a separate, superior existence. But unlike in 1969, student athletes also have to travel more, study playbooks more, and sacrifice classes they might actually want to take. And as players get bigger, stronger, and faster, they face a greater risk for injuries that could saddle them with healthcare costs or even brain damage for the rest of their lives. Today’s players are also more likely to be black, to come from a tough economic background, and to therefore have a set of life experiences that alienates them from their classmates and distinguishes them from the student athletes of 50 years ago. But the lessons of the 1960s still rhyme. You cannot wait for the athletes to lead the struggle. But if you build a clear, united, and cacophonous movement off the field, as the Black Lives Matter movement has done, it can breach the walls that separate the jocks from the rest of the campus. Right now, campus activists should be strategizing about how to connect with these so called “student athletes,” how to tell them about the issues that plague their campus, and most importantly to listen to the grievances of the student athletes, to try to create common cause. The current neoliberal, for-profit higher-education model has sunk fortunes into football as a (largely ineffective) way to drag the entire university system out of financial crisis. School presidents need football to be a hub of economic, social, and even psychological life on campus. Their addiction to cable television money has given these so-called student athletes a remarkable amount of social power, far more than the previous generation. If they flex that power in concert with the demands of a broader student body, if they refuse to work unless their fellow students are heard, then campus politics—not to mention sports—will never be the same. Editor’s note: An earlier version of this piece incorrectly stated that Biggie Munn was Michigan State’s football coach in 1968. He was athletic director. The text has been updated to correct the error.